We love Del Monte Juice at home and I think this is the best packaging for it. I mean, the one in cans are heavy so its hard to buy more than two especially if you still have other grocery items. Aside from that, this new tetra pack with twsit cap easily fits in the fridge so I need not transfer to a pitcher. 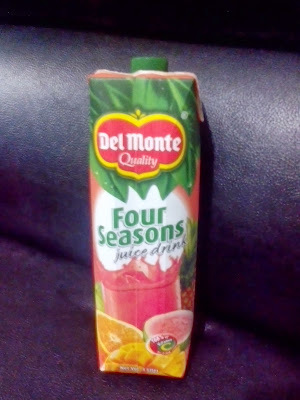 Costs P67 pesos in SM Hypermart. Two thumbs up!